Matthew 28:6- He is not here: for he is risen, as he said. Cut the top half from the center of both paper plates. Leave the outer rims to make the handles. Use liquid glue to hold the plates together so the curved edges are facing each other. This will leave a small cavity in the center. You might need to use paper clips to hold the edges while the glue is drying. Put a small amount of Easter grass in the opening. 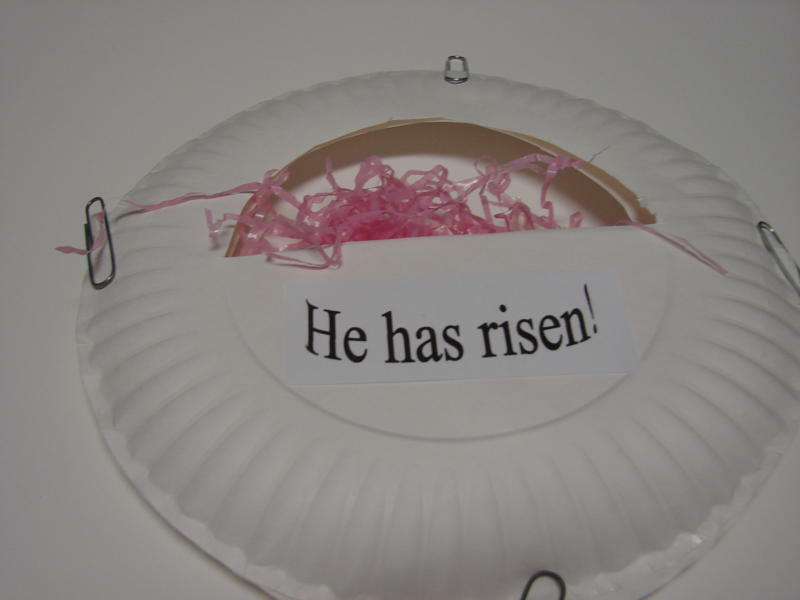 Glue a Bible verse about Easter on the front or use a marker and write, "He has risen!" 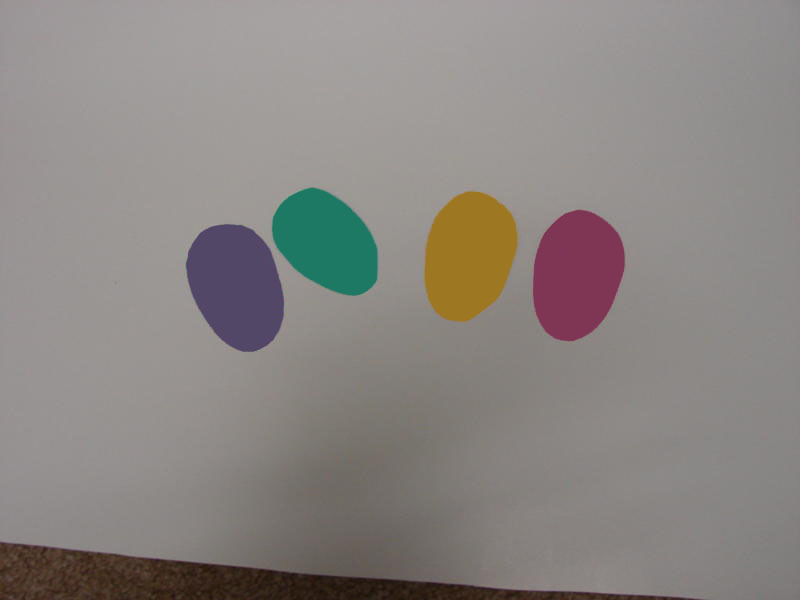 While the glue is drying on the basket, cut oval shapes from the card stock. 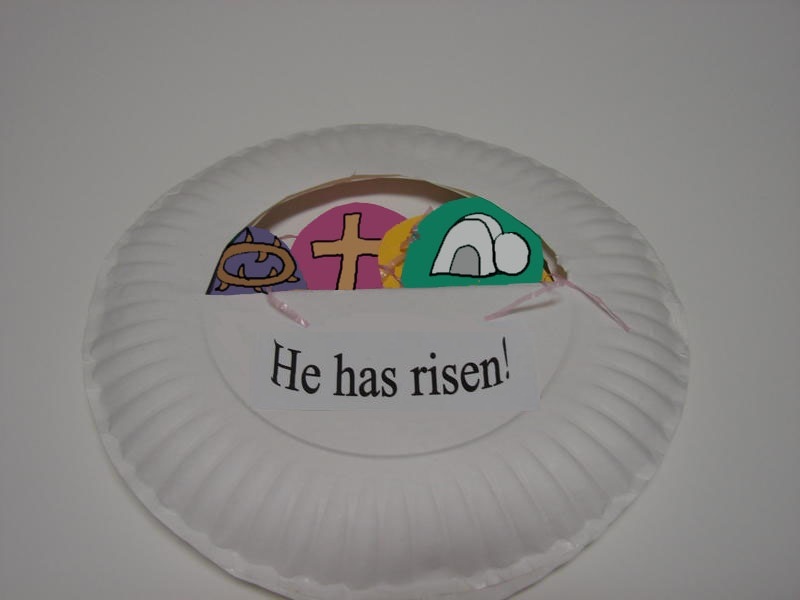 Use markers and crayons to draw pictures on the eggs like a crown of thorns, a cross, a tomb, a flower, Jesus, or anything else that comes to mind about the resurrection of Jesus Christ. You can even color the basket brown if you want.